Mental Health in Career Development – Can you help with my research? 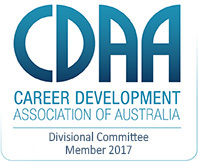 I am currently in the process researching and writing a webinar for the Career Development Association of Australia (CDAA) NSW Division entitled Mental Health In Career Development. Thus, as part of my research, I am looking for some individuals whom have been diagnosed with Anxiety, Depression and/or Substance Abuse who would be willing to speak with me on the telephone, in person or via Skype to discuss their journey to date; how they perceive their mental health condition is or has impacted their career date; what has worked and not worked, their strengths and fears in relation to disclosure; what help or understanding if any they would like to receive from a career development practitioner, recruitment consultant or employer in relation to the identification, exploration and or management of your career. If you are able to help me, in this research I would be most grateful; of course all information imparted to me will remain confidential and any information utilised in the development of this webinar and/or subsequent programs will be be done in such a way that no identifying information will be utilised to ensure your privacy at all times. Please contact me on 1300 300 557 or via e-mail if you would like to schedule a time to have a chat. About Author: – Katherine is the founder of Blu Ripples a private counselling and consulting practice located in Port Stephens NSW. Katherine is a nationally accredited counsellor, career development specialist, National Learning and Development Committee Member, NSW Committee and Professional Member of the CDAA and Member of ACA.